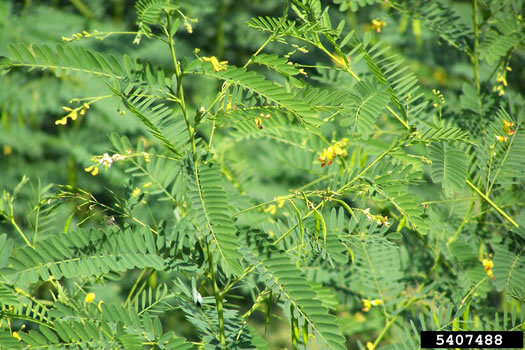 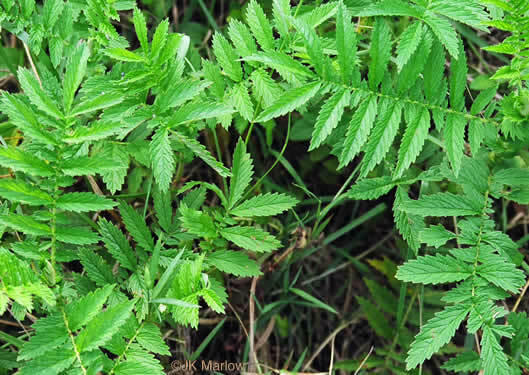 Your search found 34 image(s) of pinnately compound leaves of forbs. 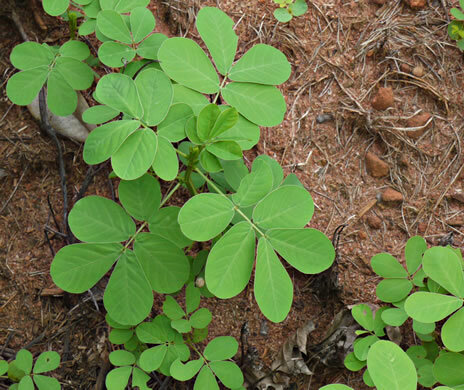 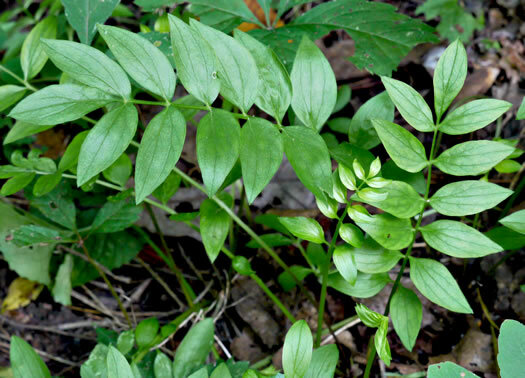 The dark green leaves are pinnately compound; terminal leaflet larger, round, per Wildflowers of Tennessee. 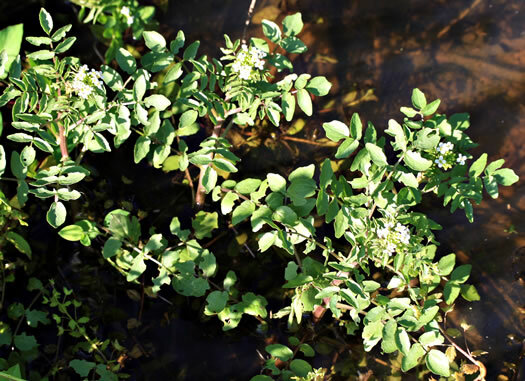 Principal leaflets 5-7, glabrous to remotely pubescent, coarsely serrate, per Vascular Flora of the Carolinas. 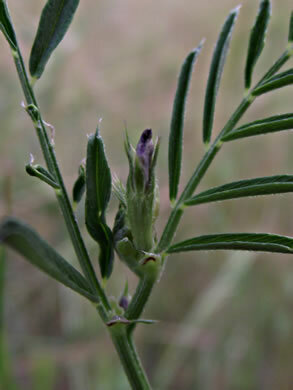 Stipules are toothed but not deeply, half-ovate to half-round, per Weakley's Flora. 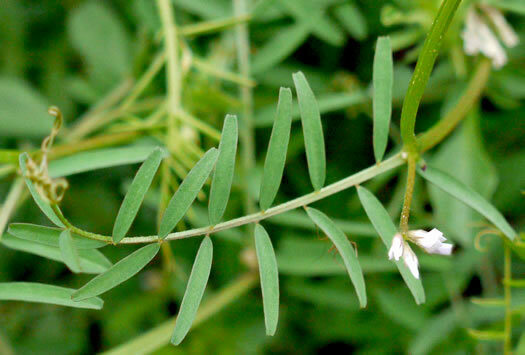 Stipules deeply incised, half ovate; hirsute hairs of the stem 3mm or longer, per Weakley's Flora. 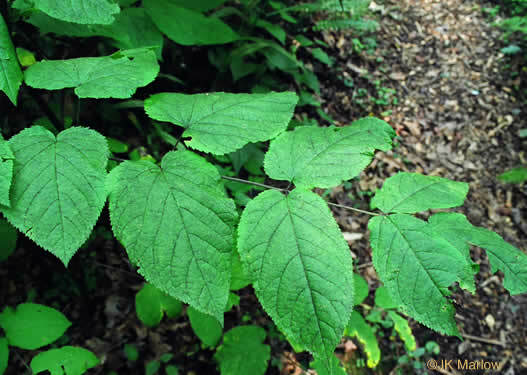 5-18 pr of light-sensitive, linear-oblong leaflets [per leaf], per Wildflowers of Tennessee, the Ohio Valley, and the Southern Appalachians. 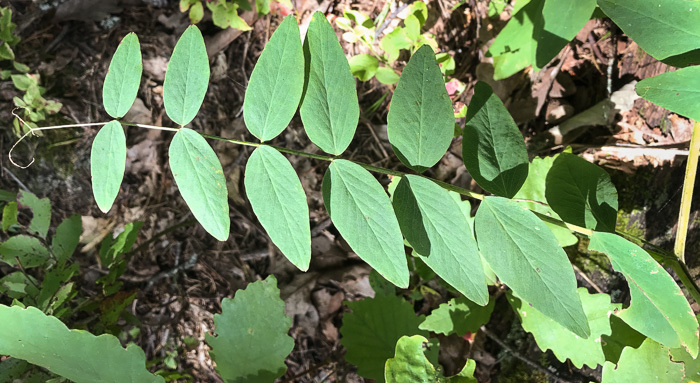 7-20 pr of light-and-touch-sensitive, linear-oblong leaflets [per leaf], per Wildflowers of Tennessee, the Ohio Valley, and the Southern Appalachians. 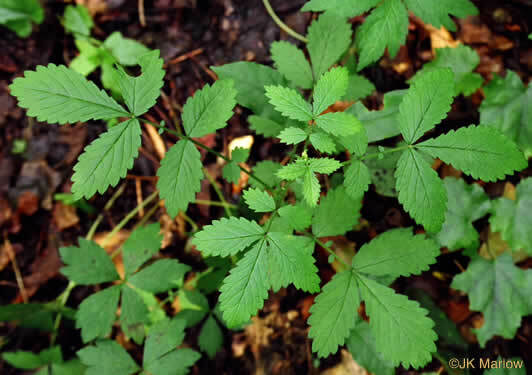 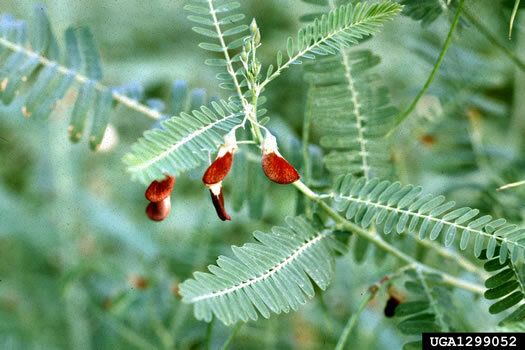 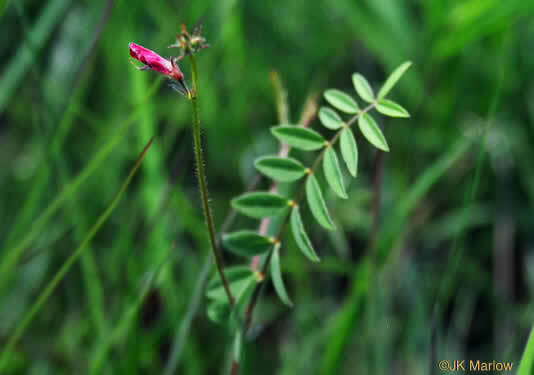 Leaves odd-pinnate with from 9 to many more oblong leaflets 1/2-3/4" long, per Wildflowers of the Southern Mountains. 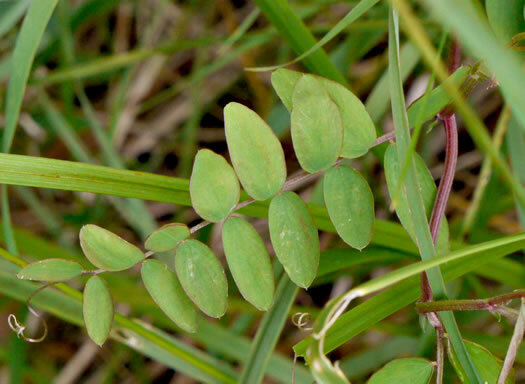 Leaflets entire, narrowly oblong to linear-elliptic or linear, glabrous, per Vascular Flora of the Carolinas. 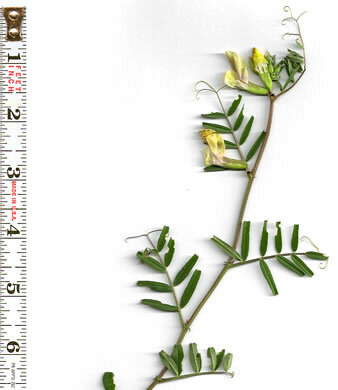 Leaflets entire, oblong to somewhat elliptic, 1-4cm long, 3-6mm wide, per Vascular Flora of the Carolinas. 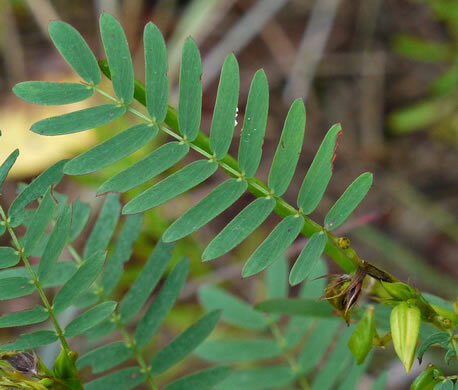 Leaflets mostly obovate to oblanceolate, per Vascular Flora of the Carolinas. 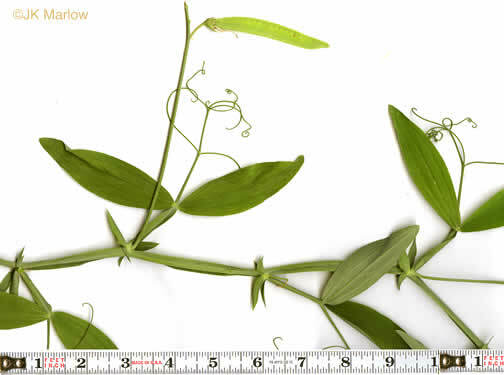 Leaflets 9-17, oblong-obovate to obovate or elliptic, 1-2.7(3.7)cm long, per Vascular Flora of the Carolinas. 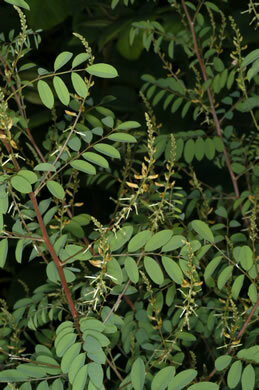 Plant ascending to sprawling, rusty hairy. 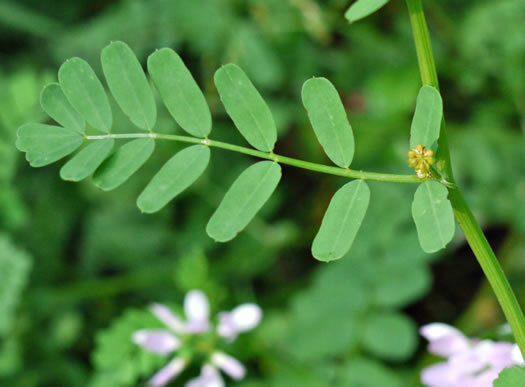 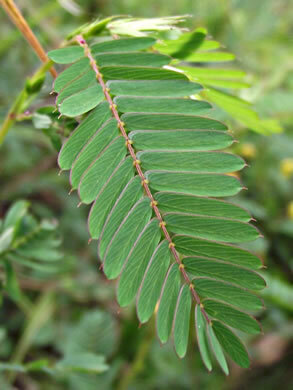 Leaflets w a sharp-pointed tip, per Forest Plants of the Southeast and Their Wildlife Uses. 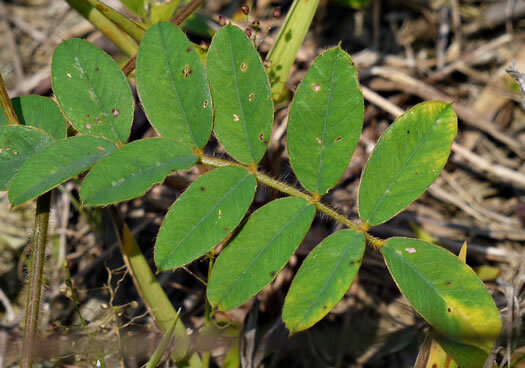 Leaves with a weak, usually branched, tendril and 6-14 leaflets, per Vascular Flora of the Carolinas. 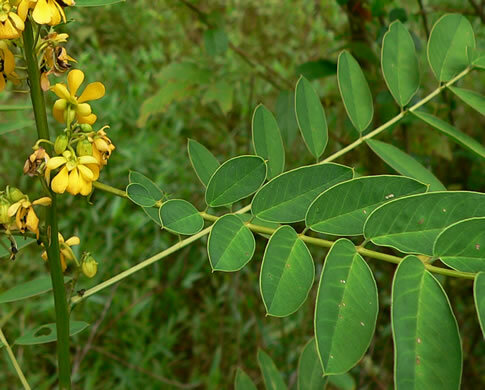 Leaflets 4-10x as long as wide, per Weakley's Flora. 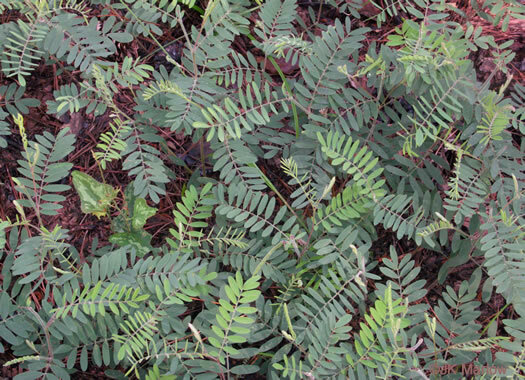 Leaflets mostly 14-20, more or less pubescent on both sides. 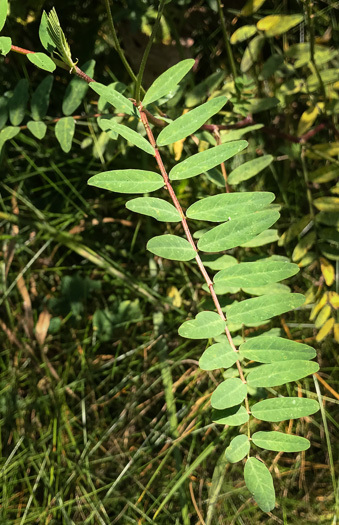 Tendrils branched, per Vascular Flora of the Carolinas. 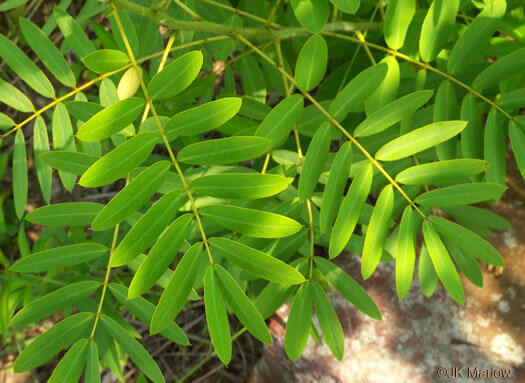 Leaves with 6-8 pairs of linear to elliptic leaflets, per Forest Plants of the Southeast and Their Wildlife Uses. 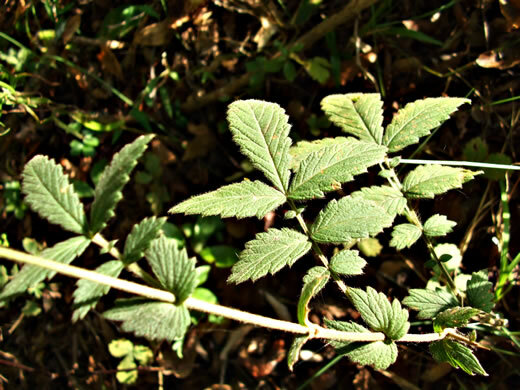 Leaves with simple or forked tendrils. 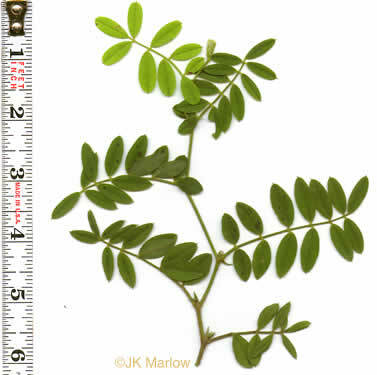 Leaflets 4-10(16), per Vascular Flora of the Carolinas. 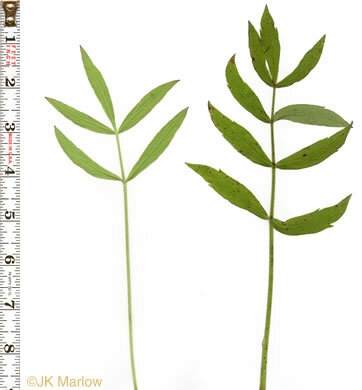 Leaflets 10-18(24), elliptic to oblong-lanceolate, per Vascular Flora of the Carolinas. 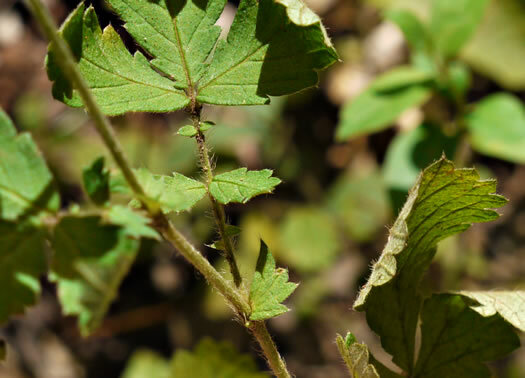 Leaves consist of 2 lanceolate leaflets and a branched terminal tendril, per Wildflowers of the Southern Mountains. 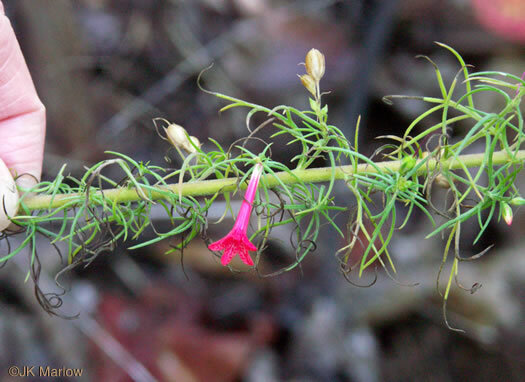 Stem terminated by a branched tendril, per Wildflowers of the Southern Mountains. 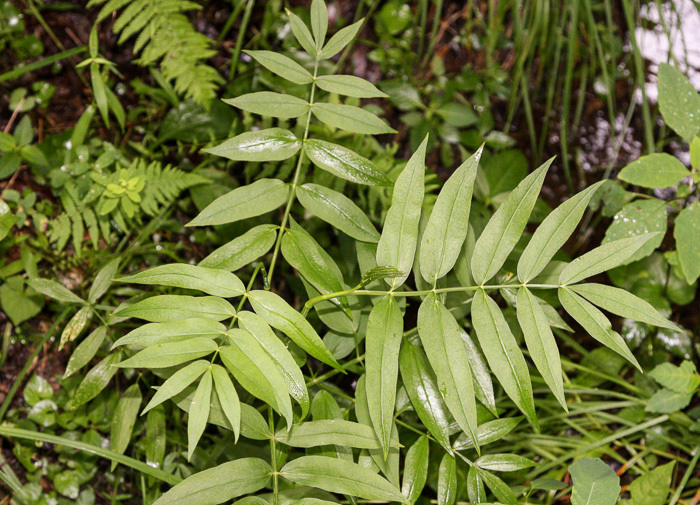 Leaves pubescent, pinnately compound and deeply pinnately dissected, per Vascular Flora of the Carolinas. 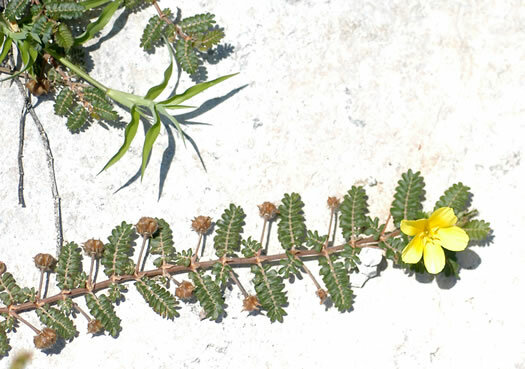 Leaves opposite, leaflets softly hairy, per Everglades Wildflowers. 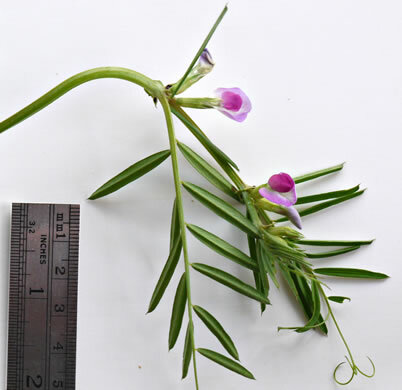 Leaflets have few or no teeth (teeth, if any, above middle of leaflet blade), per Wildflowers of Tennessee. 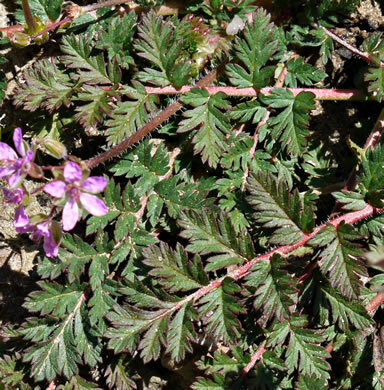 The principal leaves have 11-21 leaflets, per Wildflowers of the Southern Mountains.